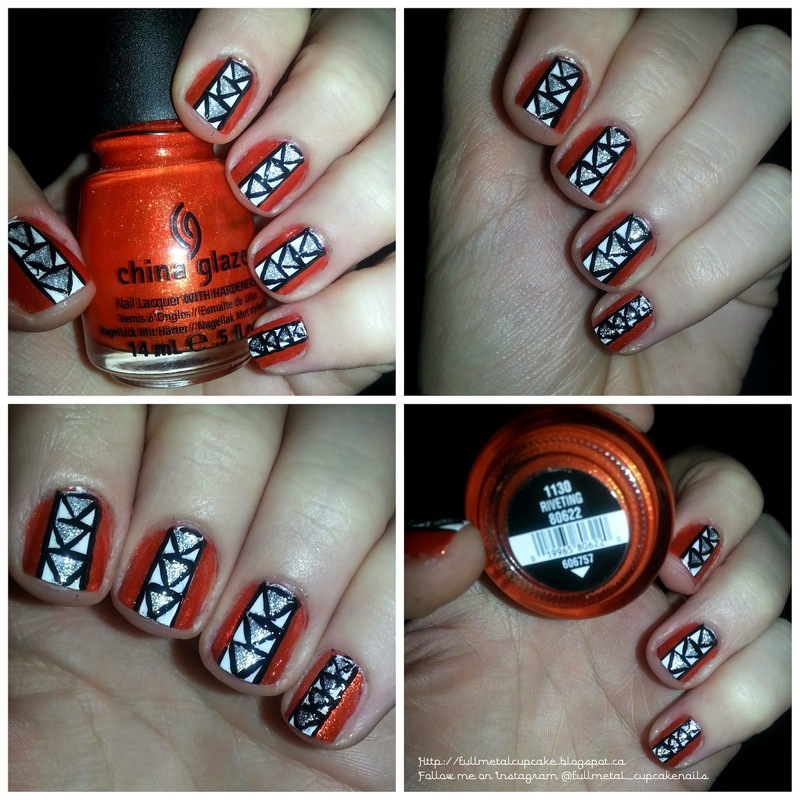 Today I have a bright and colorful tribal inspired nail art using one of my favorite oranges of all time Riveting by China Glaze. This color was from the Hunger Games collection from a few years ago but is absolutely stunning and shimmery and oh so vibrant. I then just used Sally Hansen white on to paint a strip down the center of each nail and used kiss nail art paint to paint in the triangle detailing and lines. 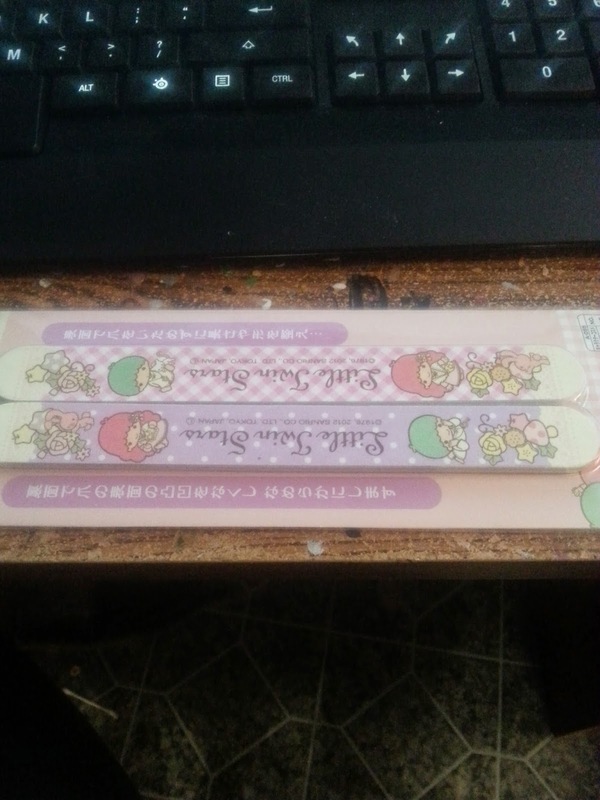 It's a little gloomy here today what with all the snow storms so I apologize for the quality of the photo but these are ADORABLE Sanrio Twin Stars nail files. I love them. SO.FREAKING.MUCH. I don't even think I will be able to use them they are so adorable, and as I mentioned FROM JAPAN. One of the things you might not know about me as of yet is I love Japan, and South Korea so this is amazing for me. Thanks so much /u/notpandora!!! I love it and I hope your trip was amazing if you are reading this! Thanks for dropping by guys I hope you stop by next time as well! !